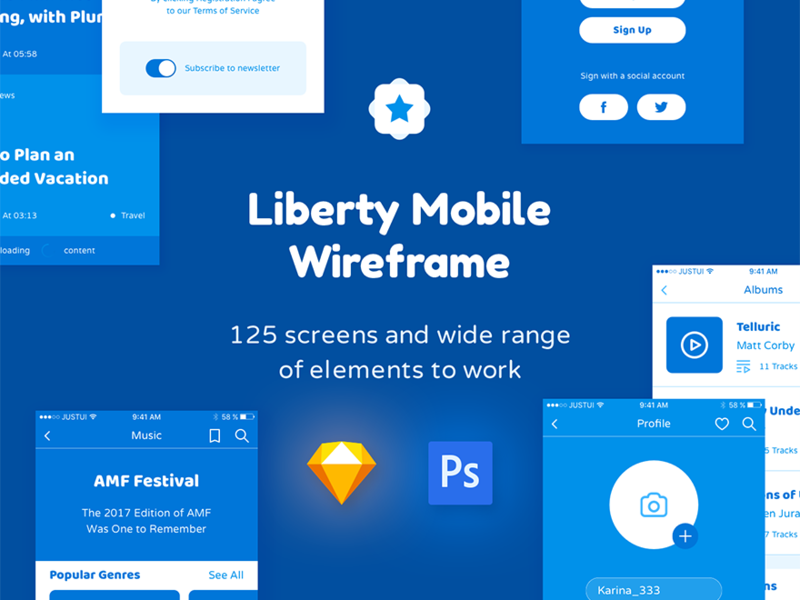 Liberty Wireframe Kit a simple tool for drawing your mobile apps. 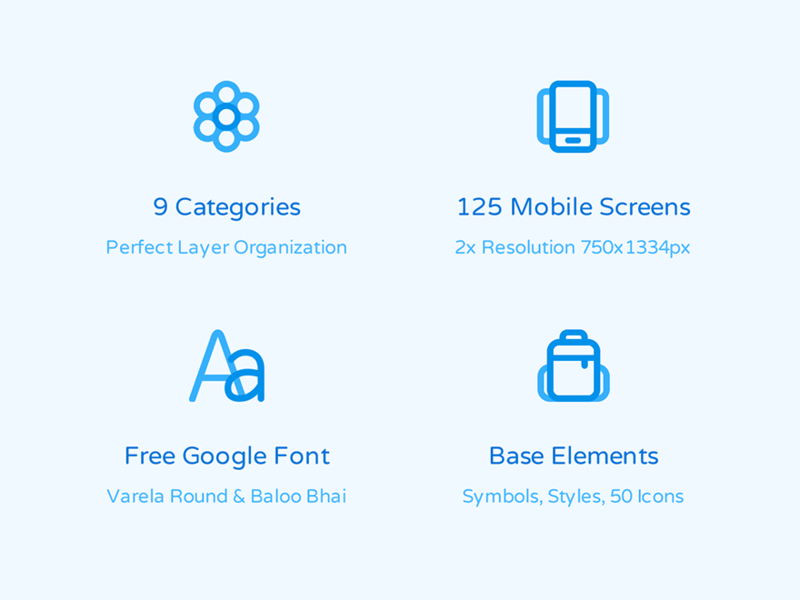 You can drawing mobile apps at top speed by dragging and dropping custom elements. 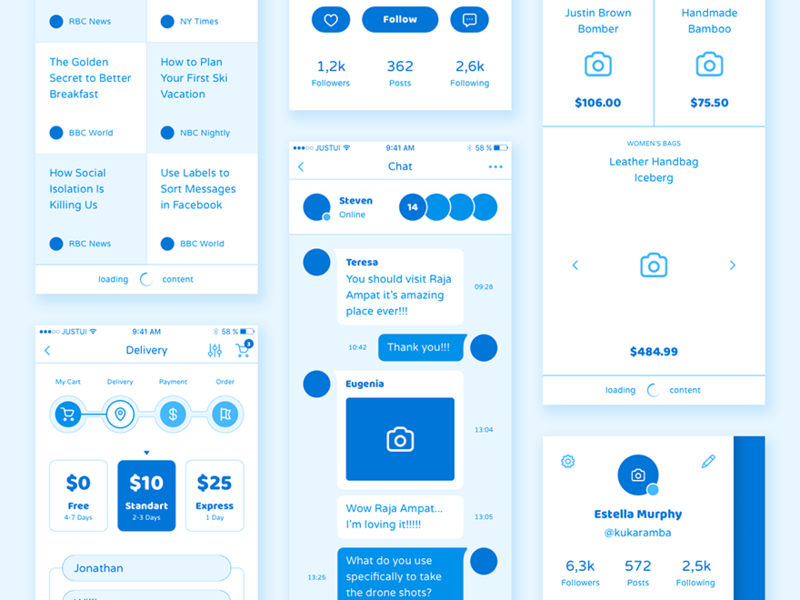 Liberty Wireframe Kit includes 125 screens and wide range of elements to work. 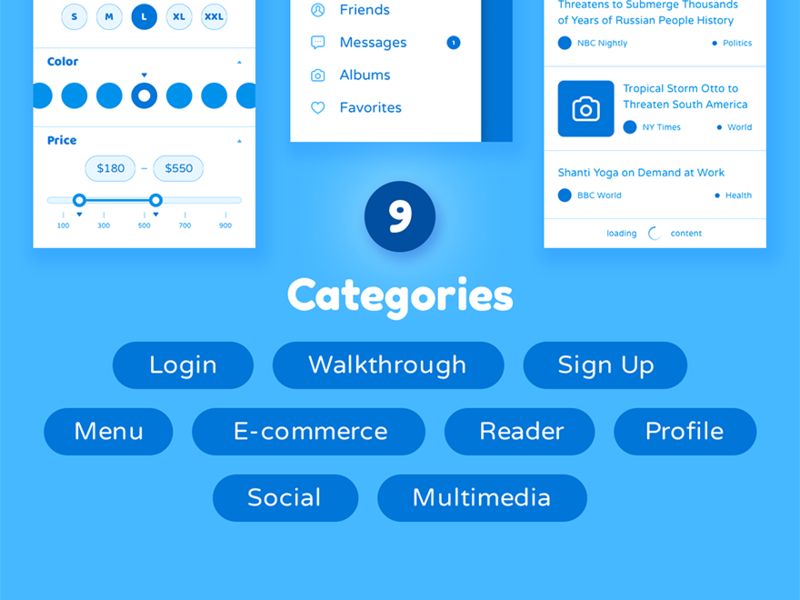 All elements are fully customizable and easy editable, designed for Photoshop & Sketch.